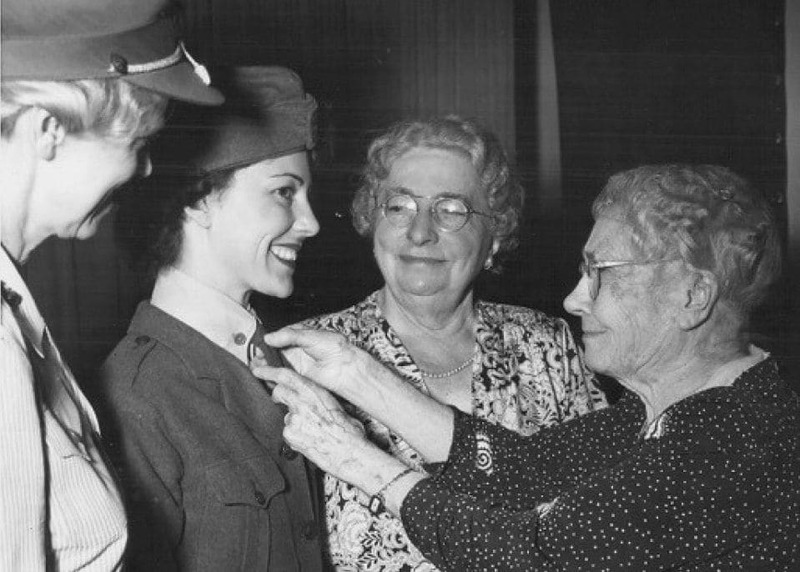 Opha May Johnson watches as adjustments are made to a World War I uniform being modeled by Pfc. Muriel Albert. 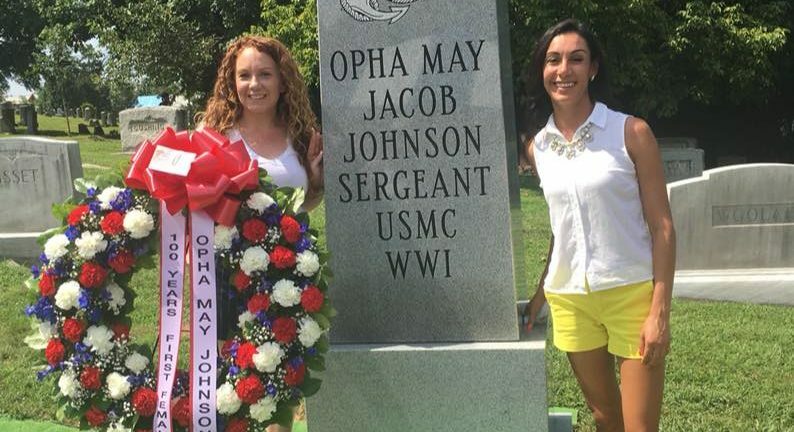 We participated in the long overdue memorial unveiling honoring the Marine Corps first woman Marine, Opha May Johnson. Before women were even allowed to vote, they were allowed to serve, and Johnson was the first in line, leading other women to do the same. Opha May Johnson was the first woman to enlist in the United States Marine Corps on August 13, 1918 during World War I. Several weeks after enlisting she rose to the rank of Sergeant. Johnson remained in the Marines until after the World War I ended when the branches began the disenrollment of women. This did not stop Johnson from being a civil servant and supporting the military in various ways until her retirement. She was buried in an unmarked grave exactly 37 years later from when she first enlisted and 100 years later she received a memorial grave marker. The ceremony celebrated the centennial anniversary of women in the Marines while taking a look back at how far women have come and how far they still have to go.